E40 180W LED light bulb, E39 180W LED high bay lights, 180W LED low bay light, 180W LED industrial lights, 180W LED warehouse light. 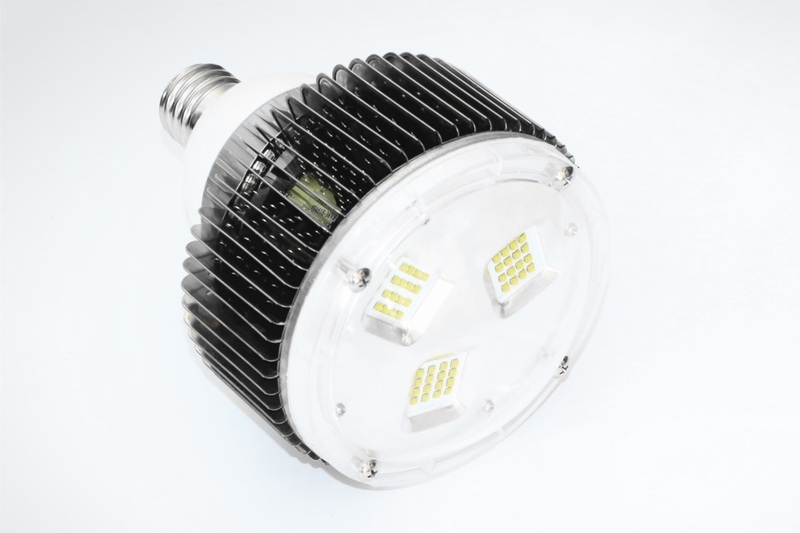 E40/ E39/ E27/ E26 & hooks optional, 180W high quality PHILIPS COB LED chip, 20700Lm high brightness. E40 180W LED light bulb, E39 180W LED high bay lights, 180W LED low bay light, 180W LED industrial lights, 180W LED warehouse light. E40/ E39/ E27/ E26 & hooks optional, 180W high quality PHILIPS COB LED chip, 20700Lm high brightness. 50,000 hours lifetime and 3 years warranty, CE ROHS approved. 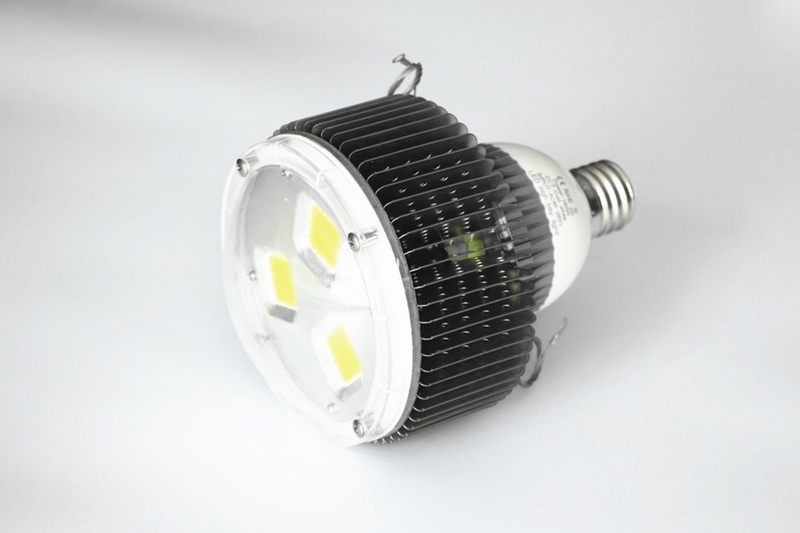 E40 E39 180W LED light bulbs can replace traditional high power 500W HPS. This series E40/E39 light bulbs are our private mould product and be produced in 2014 year. 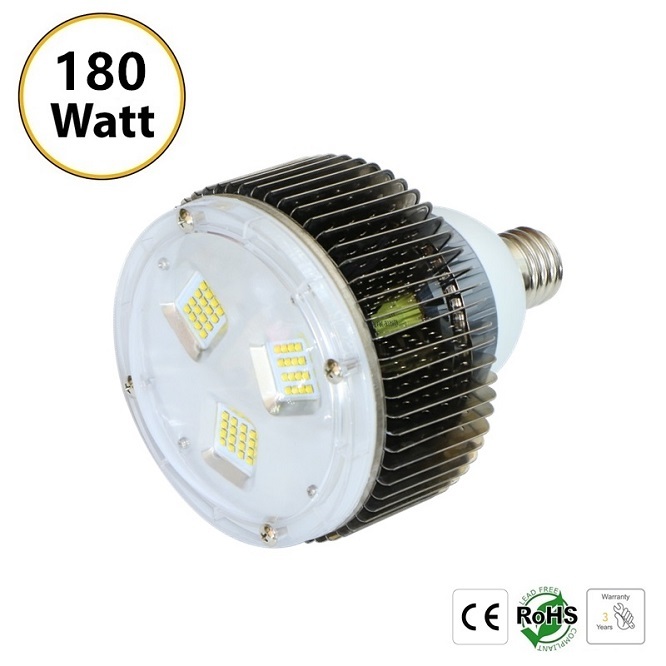 30W-80W bulbs are low bay bulbs, 100W-350W are high bay bulbs accurately. They sell well and very popular for their stable quality as 2 drivers inside(power ≥100W) that ensure the other one work immediately once a driver broken, and no bad feedback for years. 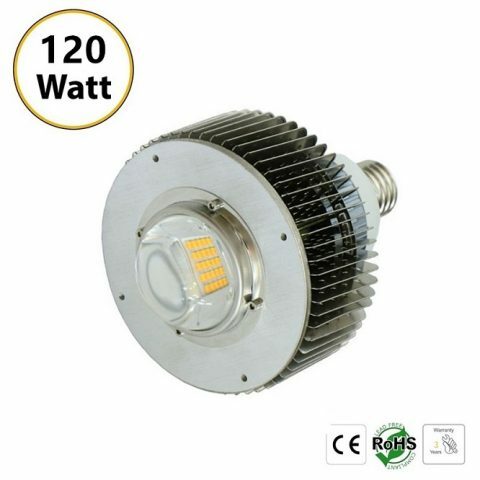 Especially 50W 100W 120W 150W 180W 200W 300W, all these articles are our best selling products. 1. Wide power range 30W-350W & input voltage AC85-305V, better adaptability, more stable operation. 2. Cree, Philips, Epistar led chips & 60° 90° 120° beam angle for option. 3. E40 LED light bulbs can be used separately or with a cover, well-matched 45° 90° 120° aluminum & acrylic cover available, more flexible & easier to transport. 4. E39 LED high bay light with cover looks like traditional high bay light/industrial light while less weight & better efficiency. 5. E40 LED lights with power≥100W built-in double drivers with high efficiency, once one broken, the other will work immediately, effectively ensure the stable quality. 6. E39 LED light bulbs equipped with fin-type heat sink for good heat conduction, prevents lumen decrease & guarantee long life span. 7. High brightness (110-120 LM/W) helps reduce the number of lamps in your fixture, directly cutting down your purchase cost. 8. From 30W-350W, the single bulb weight is 0.7 to 1.85 Kg, much lighter than general industrial lamps, drastically saves shipping cost. 9. E40 / E39 / E27 / E26 & pendant lamp holder are available, compatible to different light fixtures & installation requirements, fully considering the demands of customers all around the world. 10. LED light bulbs with power ≥80W are with safety rope for safer installation. 11. Fast turn on, no warm-up or cold start problems. 12. Extensive use, suitable for warehouse / workshop / factory / grocery store / distribution center / church / school / hospital / hotel / casinos / retail store / station / supermarket / exhibition / airport and similar applications. E40 120W LED light bulb, E39 120W LED high bay lights, 120W LED low bay light, 120W LED industrial lights, 120W LED warehouse light. E40/ E39/ E27/ E26 & hooks optional, 120W high quality PHILIPS COB LED chip, 13800Lm high brightness. E40 150W LED light bulb, E39 150W LED high bay light, 150W LED low bay light, 150W LED industrial light, 150W LED warehouse lights. E40/ E39/ E27/ E26 & hooks optional, 150W high quality PHILIPS COB LED chip, 17200Lm high brightness. High power E40 200W LED light bulb, E39 200W LED high bay lights, 200W LED low bay light, 200W LED industrial lights, 200W LED warehouse light. 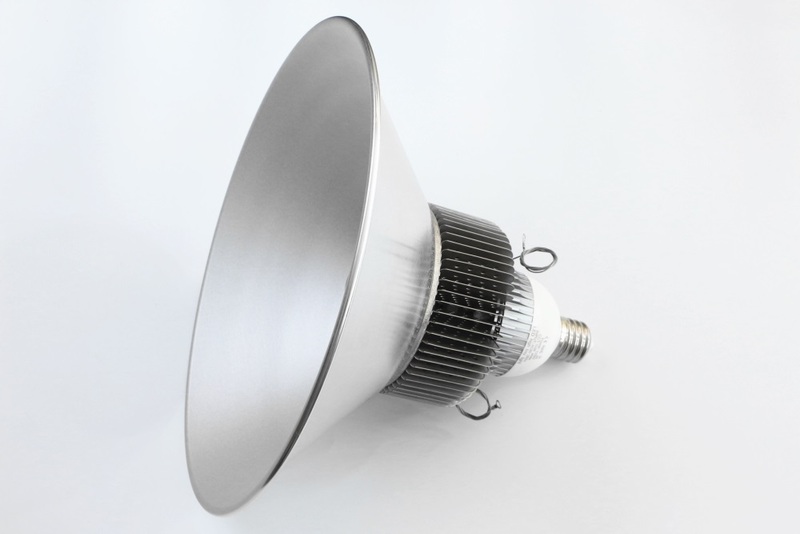 E40/ E39/ E27/ E26 & hooks optional, 200W high quality PHILIPS COB LED chip, 23000Lm high brightness. High power E40 250W LED light bulb, E39 250W LED high bay light, 250W LED low bay light, 250W LED industrial light, 250W LED warehouse light. 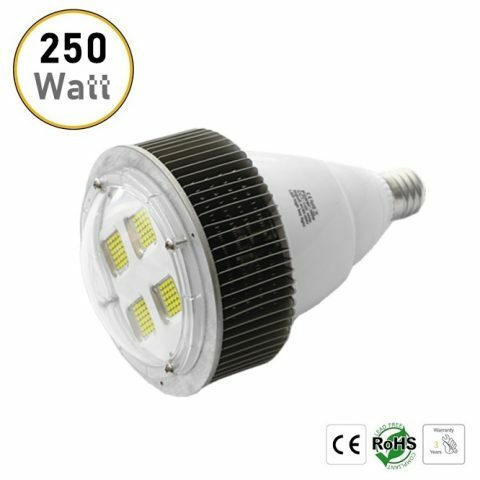 E40/ E39/ E27/ E26 & hooks optional, 250W high quality PHILIPS COB LED chip, 28700Lm high brightness.